Last Thursday witnessed the pomp and ceremony of the Opening of the Legal Year, or OLY, as it has become known. 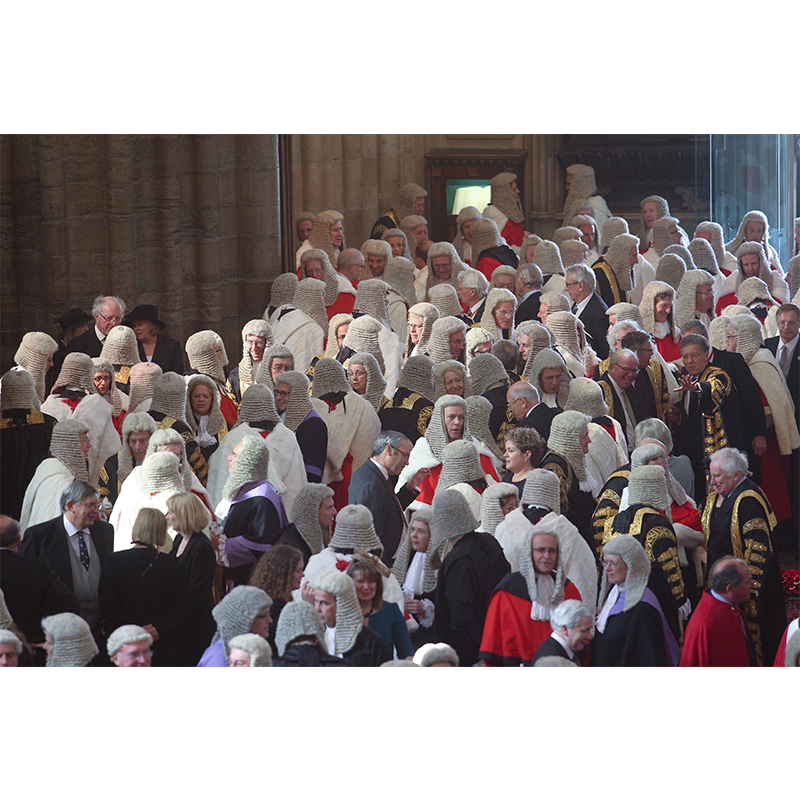 The start of the Michaelmas term also marks the end of the Long Vacation for the senior courts – the longest summer holiday enjoyed by any institution – longer even than MPs or pupils at the most expensive and exclusive private schools. For the two months from 31 July to 1 October, court activity in the High Court and Court of Appeal dwindles to a skeleton service. The Royal Courts of Justice becomes a legal and judicial ghost town, populated only by hoards of tourists struggling to find a court to bustle noisily into. Throughout the hols the Court of Appeal and High Court do continue to sit for urgent cases, with judges working on a rota to hear cases. I am told that the lack of judicial presence in court, does not mean that all the judges are occupied watching the Test Match, swigging Claret or sailing round the South of France. The vacation provides an opportunity for them to catch up with outstanding judgments, legislative changes and reading on cases. I am also reliably informed that its length is merely ‘accident of history’ going back to the old legal terms – Hilary, Easter, Trinity and Michaelmas. The terms and conditions of appointment of senior court judges are linked with the legal terms. And their conditions of service have deteriorated over recent years, due to pay freezes and pension and tax changes. The salary of a high court judge is miles below the taxable earnings of a top commercial QC. It is likely that any change to their holiday entitlement would make service as a senior judge even less appealing than many view it now and may accelerate the departure of some sitting judges. Life on the senior bench is highly pressured and hugely demanding and judges need a break. And a break during the summer holidays also allows for maintenance work to be done without inconveniencing court users and removes the need to juggle cases to fit in with the holiday plans of parties, advocates, judges and witnesses. But in an age where money spent on the justice system is tight, to say the least, having so money courts standing empty for so long, appears ludicrous. Surely there is a better way of doing things – the courts could be used for some other purpose or the long vacation should be kicked into the long grass.